The spread of capsular civilization is a worst-case scenario that is taking shape before our very eyes, without us even being aware of it. In the face of the speed of our technology, the suburbanization of our daily lives and the ever more extreme but poignant polarization of our society, we feel obliged to return to the capsules of our vehicles, in architectural cocoons or urbanistic enclaves: malls, gated communities, amusement parks. Since September 11, the war in Iraq and the War on Terrorism, it has been almost impossible to dissociate architecture from its political and social context. Add to this the massive influence of capitalism on architecture, the disturbing demographic developments and the associated political, social and ecological catastrophes, and you get the robotic snapshot of a society dominated by fear, exclusion and simulation. 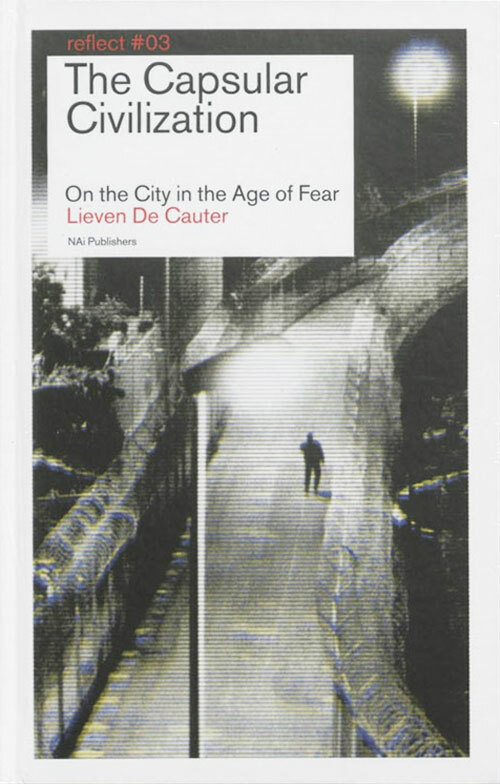 Lieven De Cauter sketches a realistic and alarming account of the new world order that is an everyday concern for the architects and planners of the contemporary city as well as for its inhabitants and users.